For that vintage vibe, it's hard to top a Princeton Reverb. From the living room to the recording studio to the live gig, its tone does the talking! 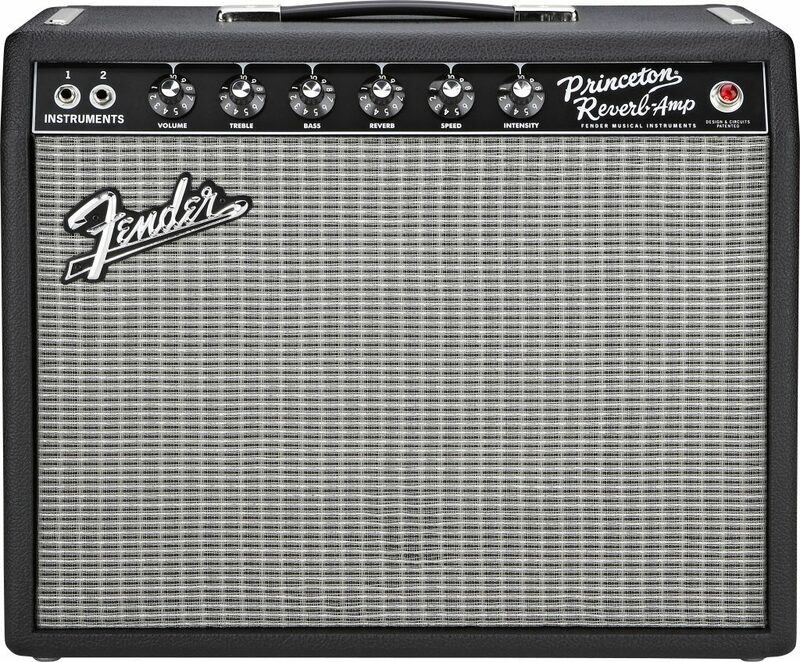 The original was used on countless hits over the years, and the '65 Princeton Reverb is easily versatile enough to go from your living room to the recording studio to small gigs. 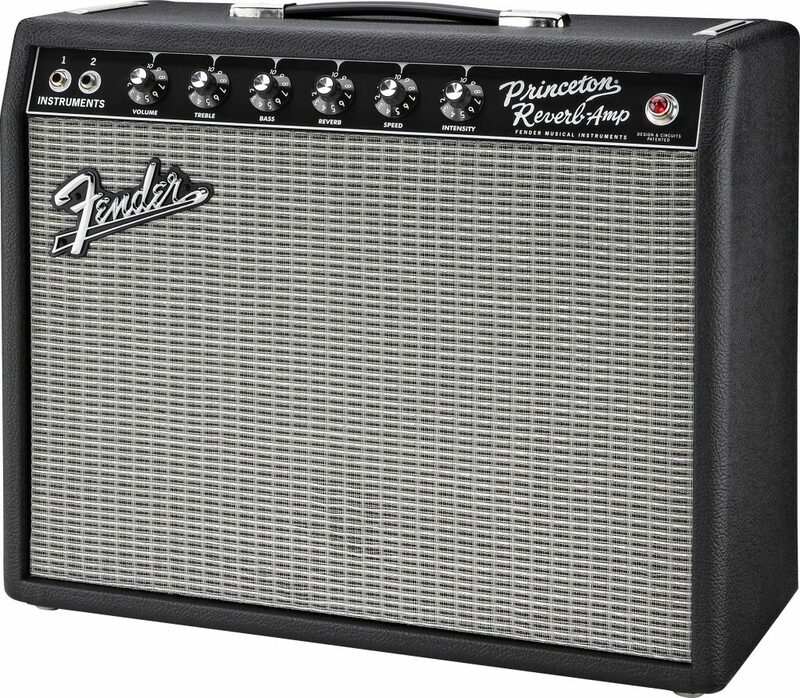 It's got the vintage vibe that Fender die-hards know and love, but the '65 Princeton Reverb isn't only for the old-school guys who played 'em 30 or 40 years ago--it's for anybody who craves top-notch tube tone, naturally dynamic clean and overdriven tones, and unmistakable long-spring Fender Reverb and tube Vibrato. A historically significant amp--the originals fetch more than $2,000 these days--and it's as valid as ever in today's musical world. Just listen for yourself! "There's a reason for 10 inches...."
Overall: There are a few Princeton's out right now, a few 65's and a few 68's ... a few with 10's and a few with 12's... This may be the right one for you! The reason for the 10" is simple....volume. This same amount of wattage run through a 12" is soo very much louder. Now, that should be a good thing right? Maybe not. 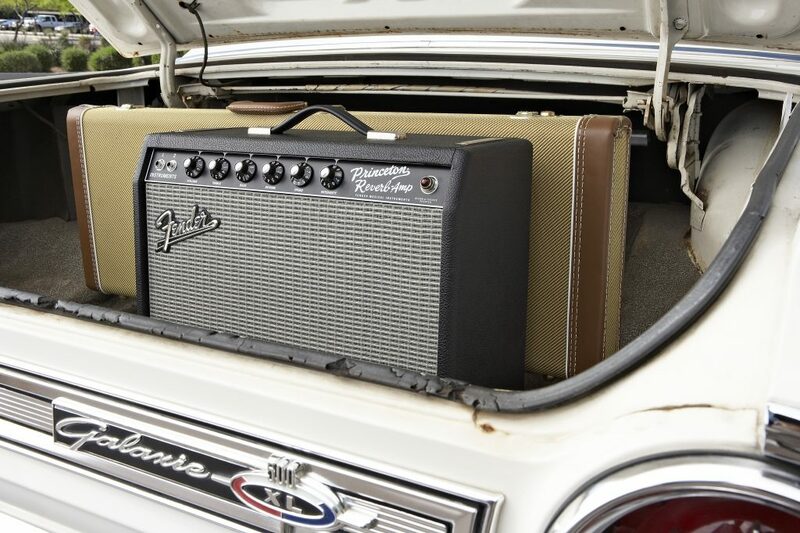 The 10" allows you to run the amp in it's sweet spot. About halfway. At that volume, you get a good amount of volume, but not ringing ears later on. It (more importantly) allows you to run the amp at it's optimum. Meaning, the tubes are humming, the speakers working, everything is up to speed. It's sounds soooo very nice! 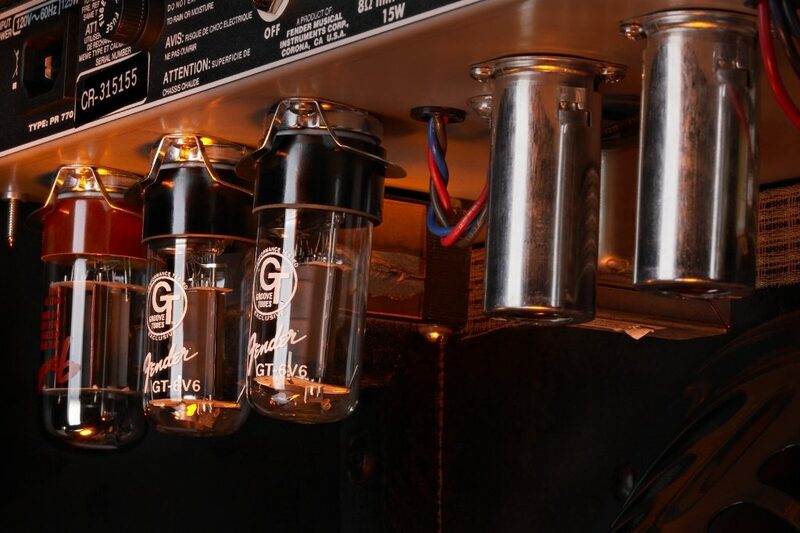 There's a reason for 7 tubes in a single channel, low-wattage amp with a 10" speaker, and you'd near to hear it in person to find out. IMHO this is the best sounding amp that exists, and I have played many quality amps. Also, forget about people complaining about the 10" speaker "farting out" because that speaker warms up to be your favorite once it is broken in. Mine changed dramatically after only 45 minutes of heavy play. I more than highly recommend this amp. I'll say one thing. IF you want that "punk rock" classic high gain distortion the 68' sound beats the 65'. But the 65 does everything else better. 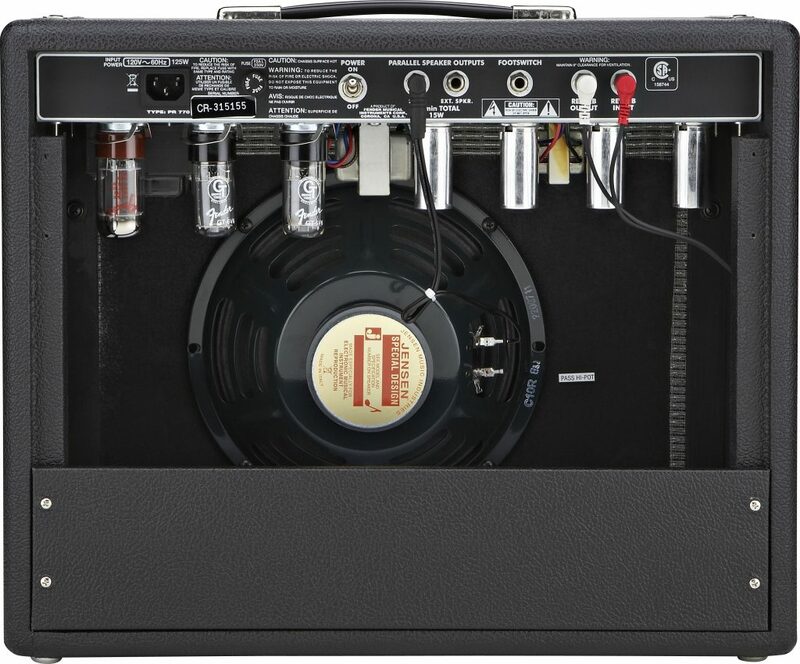 Buy this amp! You can't do better. "Another great Fender reissue. " Overall: What a fabulous amp! You can't beat that Fender sound, and even with the smaller size and somewhat lower wattage it has the sparkling clean tone that we all love. Portable, powerful, and worth every penny. Style of Music: Jazz, blues, rock and reggae.